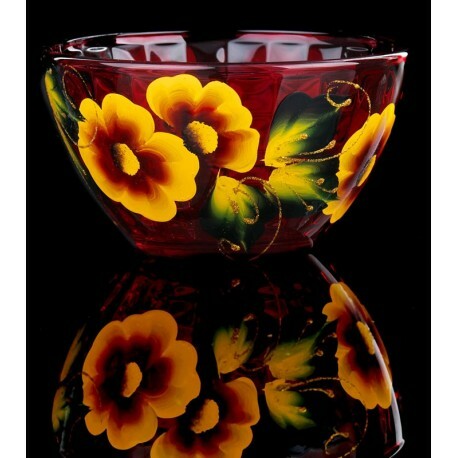 This position has a nice design: a glass painted in warm red color is decorated with golden art painting. 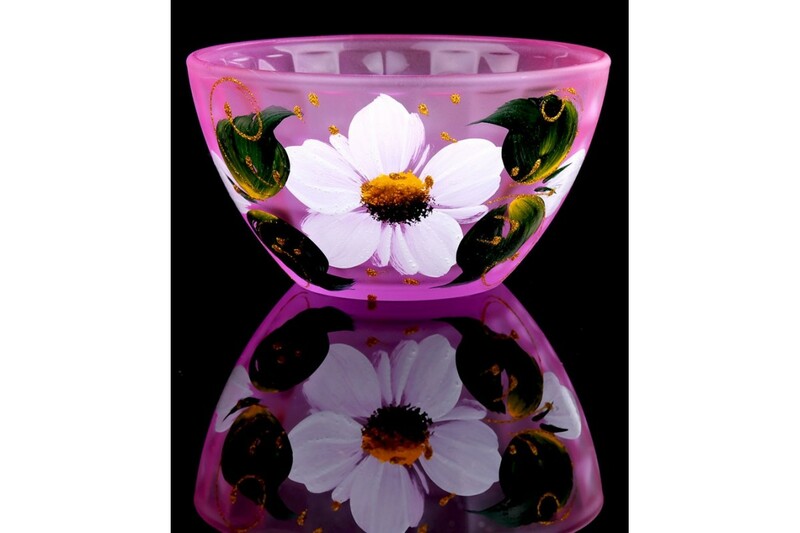 A simple and pleasant model meets the taste of many buyers of retail dish shops. 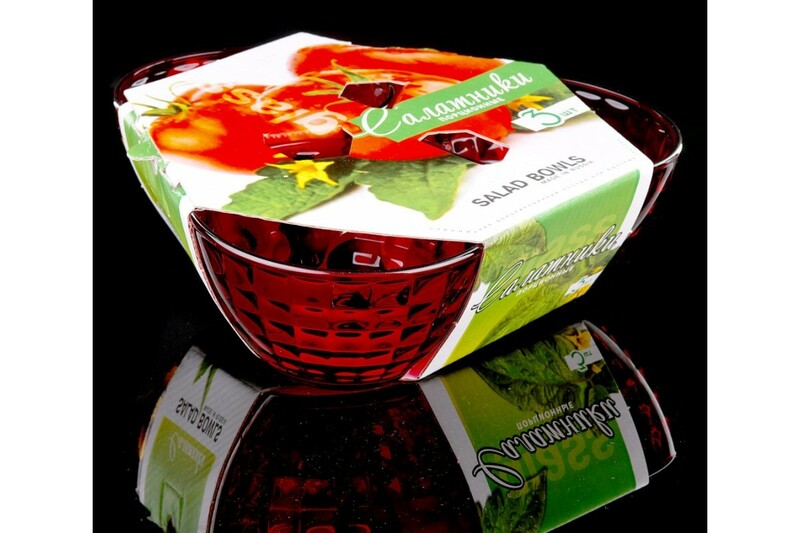 In the catalog there are a lot of other dishes with a list: glasses, salad bowls, jugs and much more. 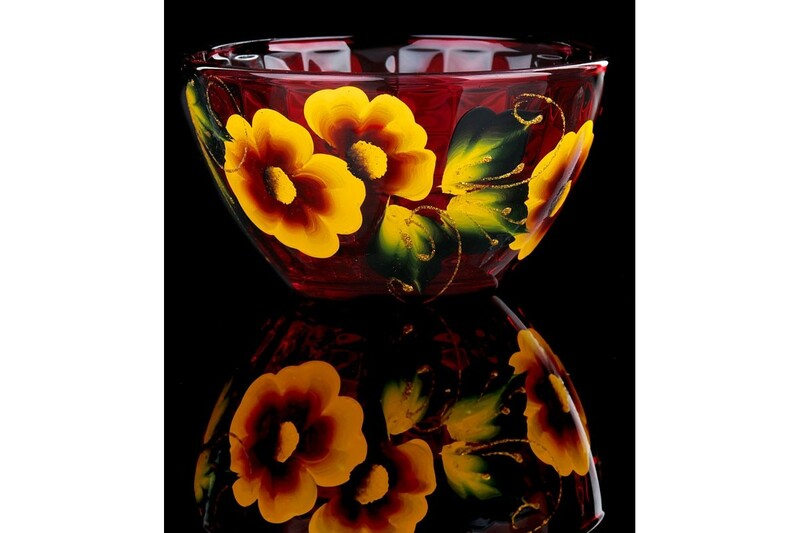 Here you can buy cheap glassware with paintings. Low prices are explained simply: you buy the dishes directly from the manufacturer, getting rid of the middlemen. Wholesale orders are delivered quickly and accurately, which ensures reliable transport and well-designed logistics. Wholesale orders are delivered to all regions.